Join us this summer for some “pedestrian reconnaissance” along the Continental Divide in beautiful southwest Montana! While providing the geographical border of Southwest Montana, the Continental Divide has also been an important travel corridor and geophysical feature on the cultural landscape for thousands of years. 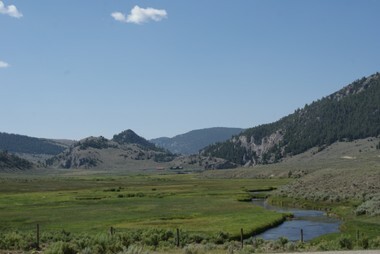 Southwest Montana has been the crossroads for several aboriginal cultures throughout history, depicted by a rich archaeological record on the land. However, to date, very little information has been compiled on the frequency, type, and age range of prehistoric sites along this well-known travel corridor. PIT volunteers and Forest staff will conduct archaeological survey in several new, but key locations along the Divide and adjacent lands. The survey will be an attempt to document new cultural resources, but we’ll also revisit previously identified resources. All meals will be provided, and participants should come prepared for stunning vistas – the project area is fairly remote and the views are endless!